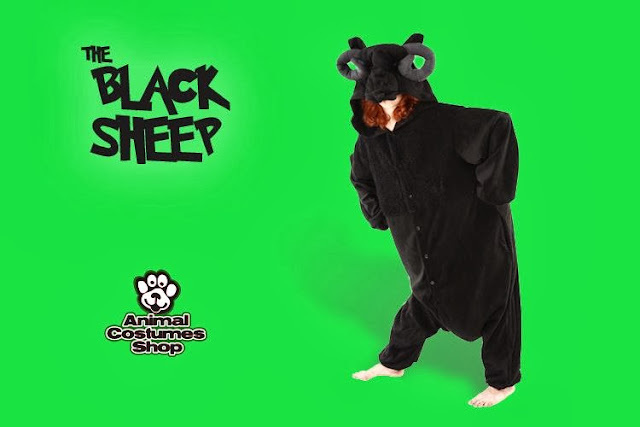 We wanted to tell you about our new kigurumi onesie costume - the Black Sheep. If you read last week's guessing game post, and guessed that it was a ram (as a lot of people on our Facebook page did), then you still get a point. The Black Sheep is an all-in-one soft fleece onesie for adults. The sheep's face appears on the costume's hood, and it comes complete with some large grey curled sheepy horns. If you would like to buy the Sheep Kigurumi Costume, you can find it here: www.animalcostumesshop.co.uk/sheep-kigurumi-costume-13618-p.asp.